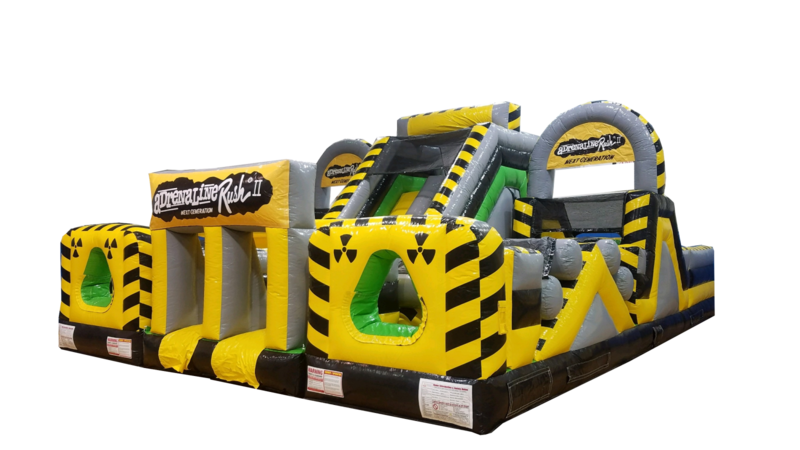 The nuclear Adrenaline Rush obstacle course is a two person race. You start through the tunnel and run across pop ups and squeeze tubes, then over the log climbs, down to the back and then up the ladder and slide to the finish out front. This course allows you to fit a long course into a compact area. Needing only one operater as the riders enter and exit on the same side. © Crazy Monkey Inc. All rights reserved.